The Super Bowl is not first on the New England Patriots’ minds right now because it will take a win in the AFC Championship game over Peyton Manning and the Denver Broncos on Sunday at 3:05 p.m. EST to get there. But if the Patriots do get there, then they might need to start worrying. 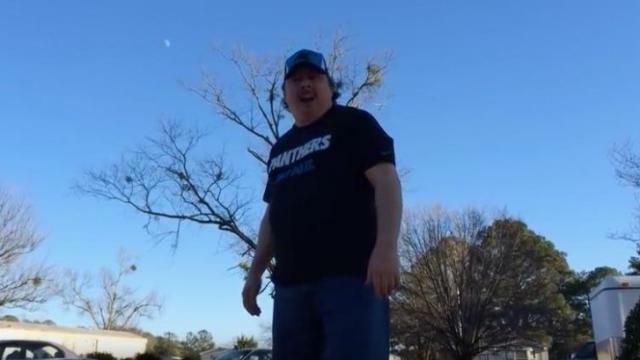 For those who doubt the Carolina Panthers and their abilities, here is a video posted by a diehard Panthers fan that will make people think twice before betting against the Panthers. If Ked Woodley spitting fire does not put fear in opponent’s eyes, then there is probably nothing left in the world that can. Here’s a second look at that roar in case it wasn’t intimidating enough the first time. Where was this guy when Katy Perry was making “Roar”? It’d probably have two billion views now if this guy was in it. As Barstool Sports points out, that is no Simba roaring, it is Mufasa — the big lion in “The Lion King”. Woodley does not have any other videos on his YouTube page. But there is another account called Ken Woodly (notice no “e” in the last name) that posted a video. It’s from 2013 and it looks awfully familiar. No comment on that one. Looking towards the Patriots though, this Sunday will determine whether or not they do in fact end up facing the Panthers in the Super Bowl. The Panthers have an 11/5 chance of winning the Super Bowl this season while the Patriots have a 2/1 chance, according to Vegas Insider. In order to give themselves more time to prepare for the game, the Patriots are leaving for Denver today instead of Saturday. They practiced at 11:00 a.m. EST this morning and Bill Belichick’s press conference was bumped up to 7:00 a.m. — two hours earlier than usual. 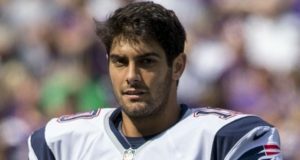 Per usual, the Patriots’ injury list is loaded with players. But the most recent additions are special teamer Matthew Slater (shin, limited) and Patrick Chung (foot, full participant).